It was in January 2006 when we, a group of 13 ladies, went to Tirumala for Srivari Seva. We started from Visakhapatnam and reached Tirumala early in the morning on Jan 5 in the auspicious month of Dhanur Masam. Our group leaders engaged a cab for our trips during our 7 days stay at Tirumala. We refreshed ourselves at Padmavati Guest House near Alipiri. From here proceeded to Tirumala uphills. As it was morning time, the group enjoyed the twists and bends on the ghat roads. 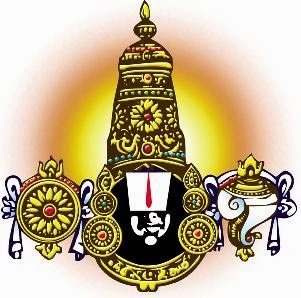 On reaching Tirumala, the group leaders approached PRO (Public Relations Officer) of TTD (Tirumala Tirupati Devasthanams), submitted all the required documents and got approval of our Srivari Seva. TTD provided all the necessary guidelines to us and gave us orange color scarfs. We all felt divinely blessing on registering our group for Srivari Seva. Now let me tell you all about Srivari Seva at Tirumala. Cutting vegetables to prepare curries / sambar that is served to the pilgrims in Annaprasadam Complex. 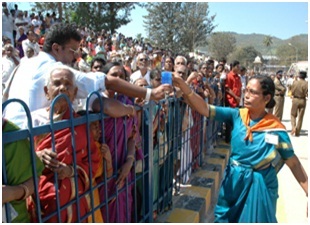 Offering safe drinking water to pilgrims. Ensuring the maintenance of lines in the queues. Scanning pilgrims' bags at different security check points. Guiding and maintaining pilgrims in Kalyanakatta tonsuring areas, distributing blades for tonsuring and applying Thirunamam to pilgrims those who are willing to wear Thirunamam. Maintenance of rooms allotted to pilgrims in ANC area and Saptagiri Satralu area. Educated and efficient male volunteers are eligible for this seva. Selling coconuts to pilgrims. Volunteers with minimum education qualification are eligible. Sale of TTD publications in the book stalls at various places in Tirumala. Receiving feedback from pilgrims waiting at VQC compartments. Distributing milk to pilgrims with infants waiting in the VQC compartments. Cleaning service in Srivari temple and Mada Veedhulu / streets. Only capable female sevakulu with minimum qualification can register for this service. Srivari Seva Office holds the discretion of rejecting volunteers who are physically unfit for this service as prescribed in the guidelines. Applying Thirunamam to pilgrims at different places in Tirumala. 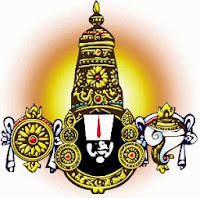 During the Srivari Seva period, we are called Srivari Sevakulu which literally means servants of God. TTD provides free accommodation to Srivari Sevakulu. We got a 2 bed room flat with a hall and kitchen, I think, somewhere near the newly constructed Panchajanyam Guest House. Not sure. It was afternoon by the time we completed all the formalities. So we proceeded to Nityannadanam Hall (presently Tarikonda Vengamamba Annadana Satram) and had Swamivari Mahaprasadam i.e free meals. Next day, early morning we all enthusiastically got ready for serving the Lord. The family staying in the ground floor of the apartment were running a canteen. So, we had steaming hot home-made idlis and filter coffee. Hmmm! felt so refreshing. We all dressed in a traditional way, tied the orange scarfs round our necks. You can see the below picture. Hey!, that's not the pic of our group. Unfortunately, none of us had cams, so we couldn't take pics. I got these pics from different sources in Google Images. As far as I can remember, being ladies group, we were asked to work in the kitchen on the 1st day. We all happily involved in cutting heaps of vegetables. These are cooked for Nitayanandam to thousands of pilgrims. Oh my God! we had to cut heaps and heaps of vegetables. However, we were fully immersed in a divinely feeling and didn't feel the pain of cutting so many vegetables but enjoyed divine pleasure. That was our day 1 service. We were taken in a short cut to have the darshan of Lord Venkateswara. Each day after after service, Srivari Sevaks will have the darshan without standing in the long lines (not sure whether this facility is applicable now). After darshan, we had free meals and were back to our flat. It had become a 7-day routine for us to go on Srivari Seva in the mornings, have divine darshan and afternoons going on short trips to nearby places. 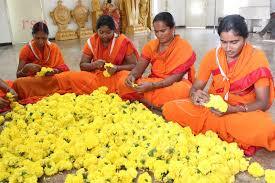 During our 7-day Srivari Seva, we got the wonderful opportunity of garland making for Srivaru and Padmavati ammavaru. It was such a divine feeling to do so. We even served the co-pilgrims. We distributed food packets (given by TTD) to the pilgrims waiting in the Q complexes, offered water and looked after other such necessities of the pilgrims. It is compulsory to wear TTD's orange scarfs round the necks while in service. Likewise, we were involved in many services to the Lord and to his devotees i.e our co-pilgrims. 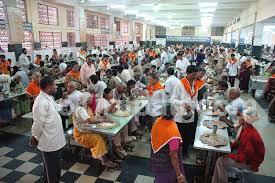 We even got the opportunity of serving food in the Nityannadanam hall. The feeling I (we) experienced during our service to Srivaru and his devotees, is something beyond description. I was fully immersed in His seva (service) and could feel His divine blessings. That was a wonderful and great experience, I had in my life. During those 7-days Srivari Seva, I was so immersed that I completely forgot about the material world. Each day, we had the darshan of Lord Venkateswara in different costume with a 'chiluka' i.e parrot on His shoulder. During our 7-days stay at Tirumala, we bought tickets for 'Nijapada Darshanam' i.e viewing the Feet of Lord Venkateswara without covering. Oh! god. Such a great feeling, I'm unable to express it here. While off-duty, we visited the nearby places i.e Kanipakam, Ardhagiri and Tiruchanur Padmavati ammavaru.